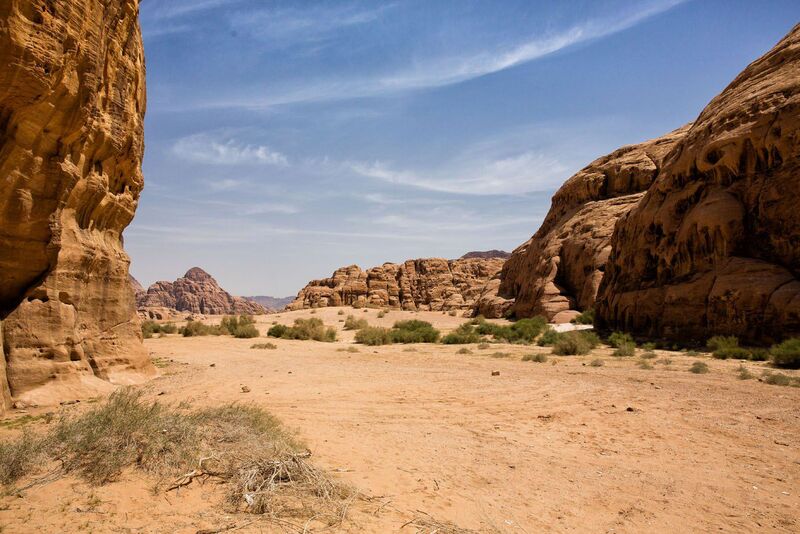 Wadi Rum…this is a place that blew away our expectations. Why? 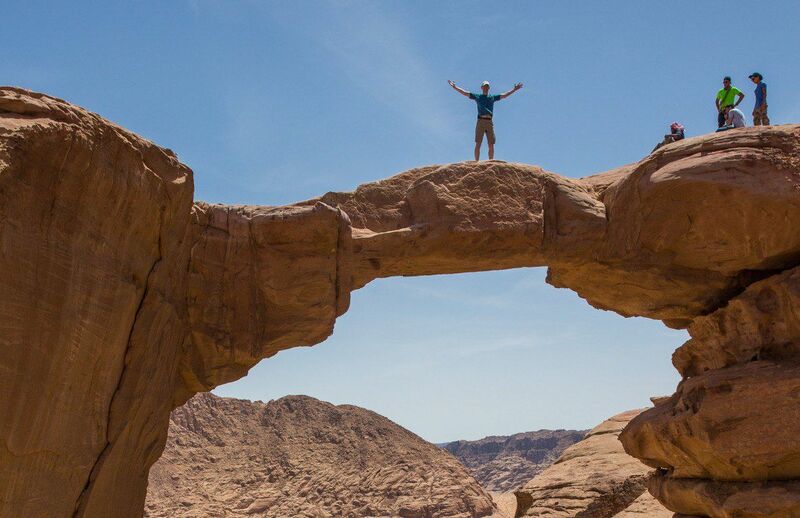 Because the hike to the Jebel Burdah Rock Bridge is amazing. The hike is challenging, dangerous, and breathtaking in its beauty. Climbing up the rocky mountains and looking out over the almost martian landscape of Wadi Rum was the highlight of our time in Jordan. 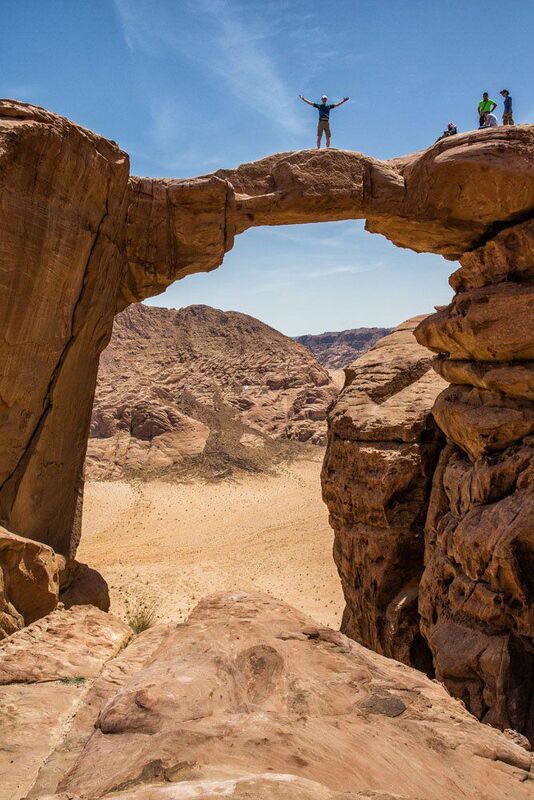 Tim and I came to Jordan to see Petra but it was Wadi Rum that we fell in love with. 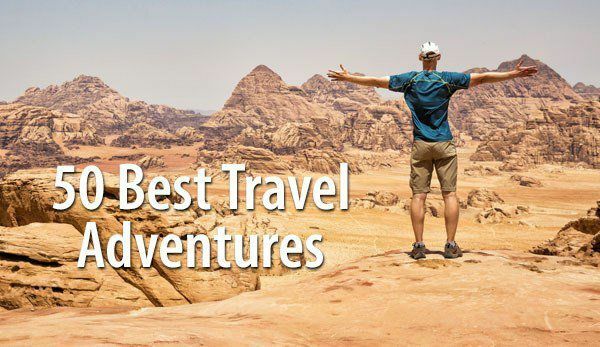 When your guide tells you that you picked one of the best things to do in Wadi Rum you know that you are in for a real treat. 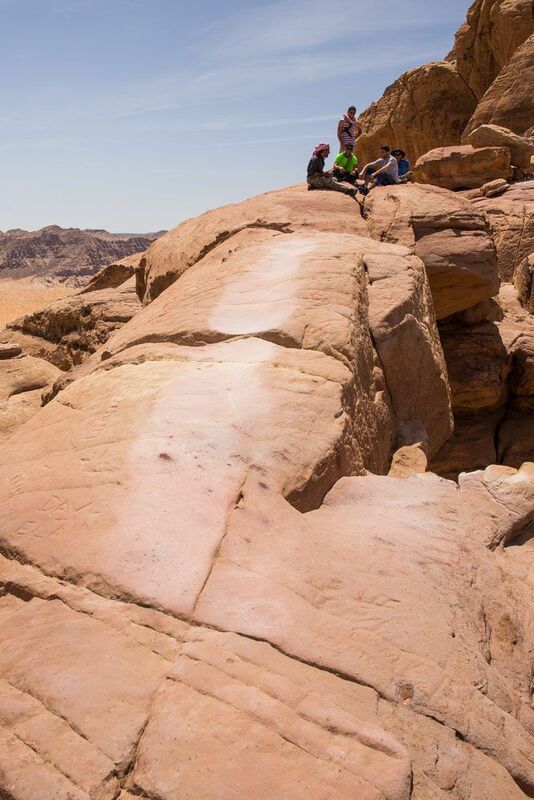 On the second day of our Jordan tour with Desert Eco Tours, we said goodbye to amazing Petra. Ali, our Wadi Rum guide for the day, picked us up from our hotel in Wadi Musa and drove us south to Wadi Rum. Normally, this is a drive that takes two hours…except when your driver races down the roads at 95 mph…no joke! 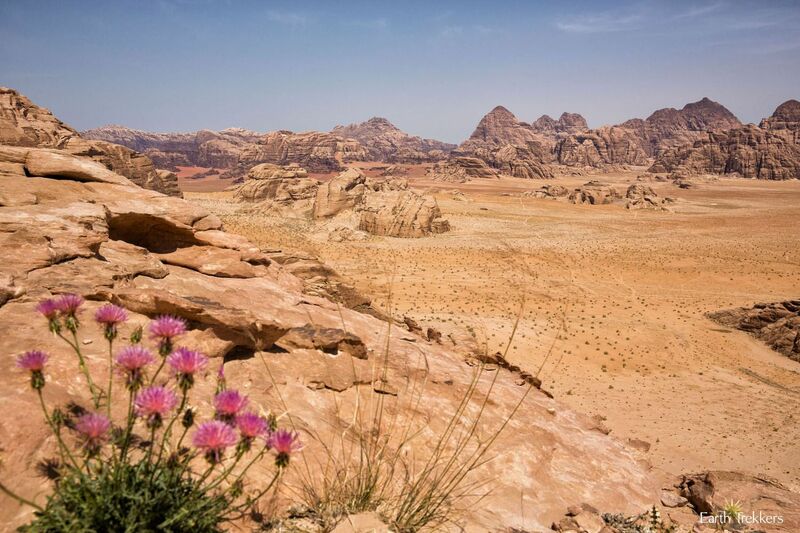 We entered Wadi Rum, a protected area in Jordan and an incredibly beautiful spot. Now we were driving through thick, reddish-orange sand. Ali slowed down, just a little bit. We bounced and slid along the sandy roads, watching wild camels and bedoins pass by our windows. It took us about twenty minutes of driving to reach the hiking trail. Ali parked next to one of the many rocky mountains in the area and our hike began. In no time we were hiking up the rocky, mountain face. The trail was uneven and in many sections we were scrambling over rocks and climbing up steep, rocky faces. It was a blast! The higher we climbed the better the views became. 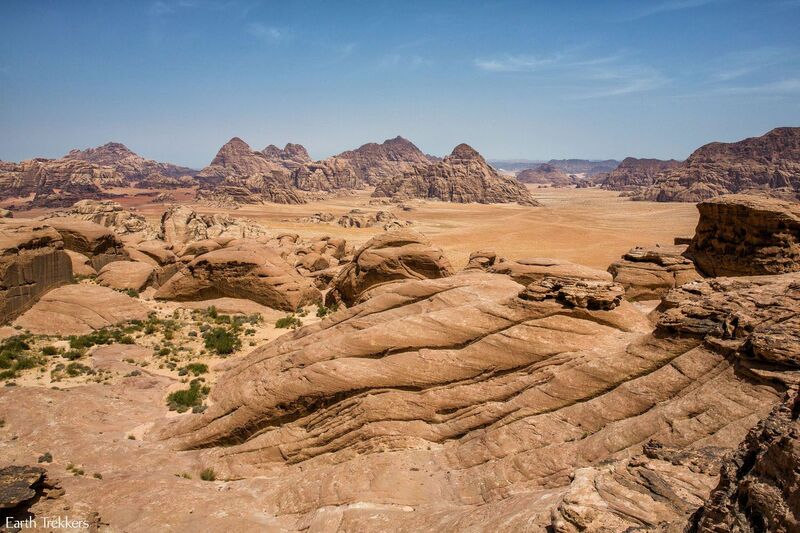 Wadi Rum looked incredible from ground level but from the tops of these mountains the scenery was unbelievable!! It took us 40 minutes to get within view of the Jebel Burdah Rock Arch. It looked a lot higher than I imagined it to be. 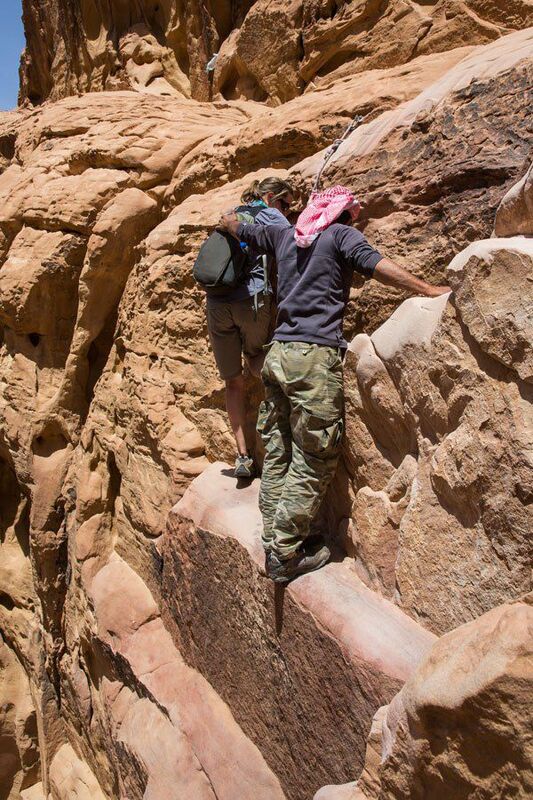 The final section of the hike up to the Jebel Burdah Rock Arch is the most technically challenging. There is a very short section of rock climbing but we did not have any rock climbing equipment. It was not very difficult climbing up the short section of the rock wall, but without a backup safety harness it was a little freaky. 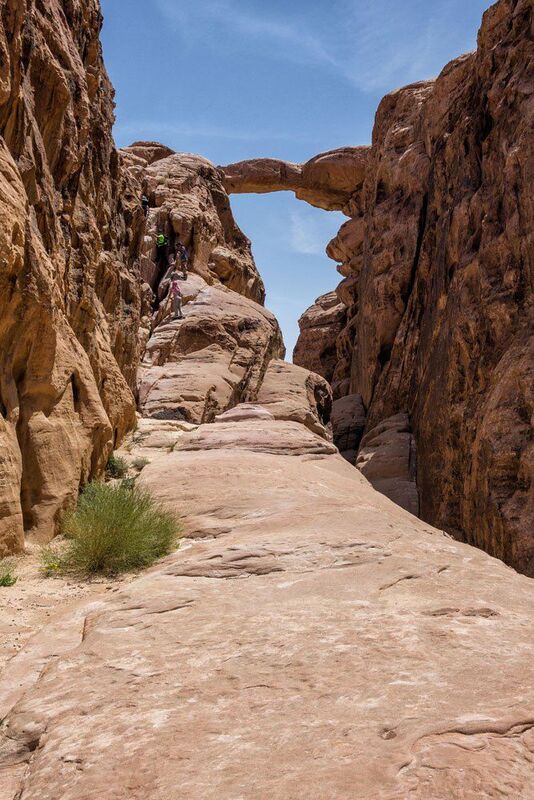 Safely through the climbing section, Tim and I got our first chance to stare up at the Jebel Burdah Rock Arch. It was still high above our heads. 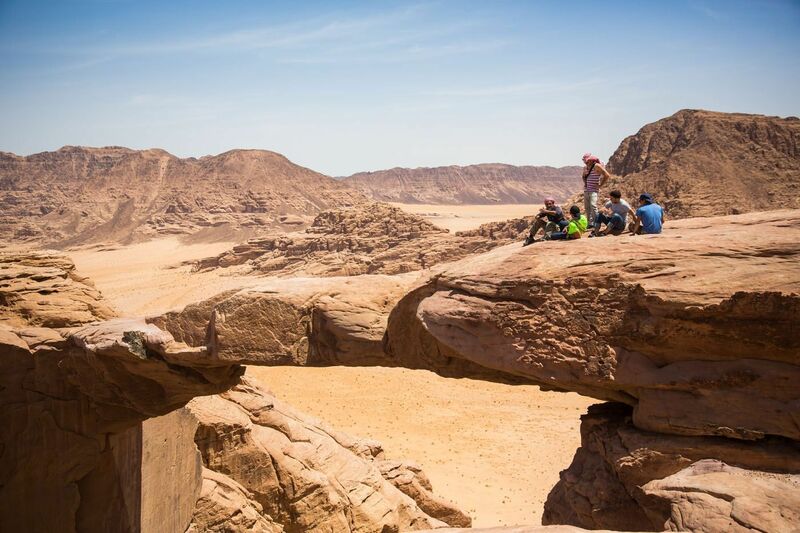 The rock bridge sits at least 300 meters off of the ground. Once again we were going to step out onto a precarious rock. Wahoo! Tim went first this time while I waited down below to take his photo. He walked out onto Jebel Burdah, posed for the camera, and then met back up with me. Tim said that it was not that scary but the wind blowing against him was a little alarming. Now, it was my turn. 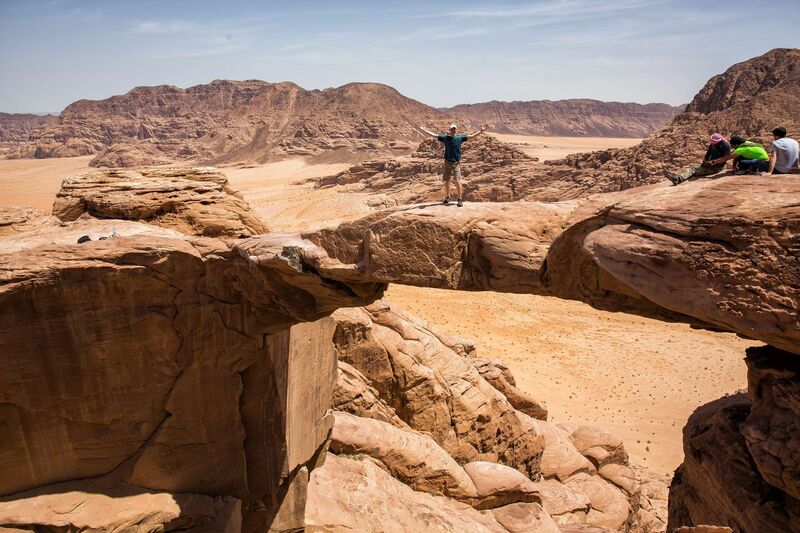 The Jebel Burdah Rock Bridge is relatively wide but it still feels crazy stepping out onto it. I walked out to the center, posed for my photo, and safely crossed over to the other side. While I was on it, I couldn’t help but wonder how much longer the rock bridge would remain safely intact…just a few more minutes or 1000’s of years? It was here that we joined up with a group of four young Jordanian men, the only people we saw on the entire hike. We all took turns taking photos on the rock bridge and enjoying the views. Tim and I love this place!! 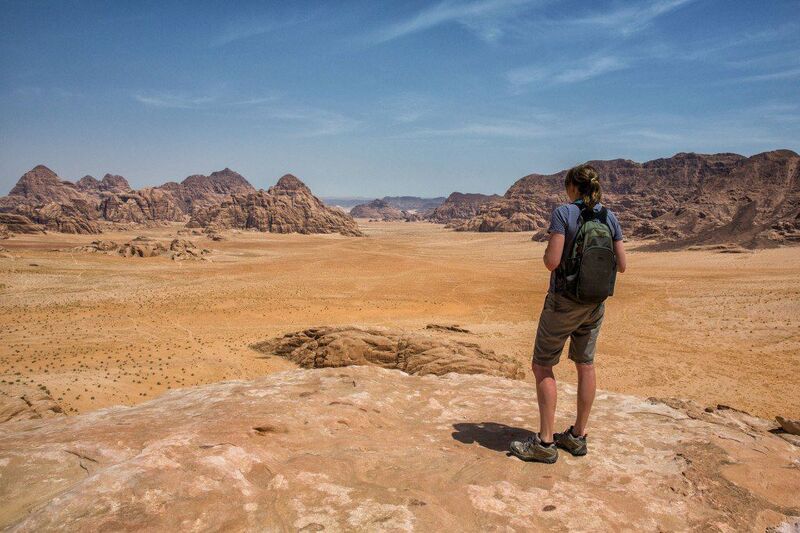 After spending some time admiring one of the best views of Wadi Rum, it was time to hike back to the car. We had to hike back down the short climbing section and then took a different, more direct route back to the car. This part of the hike was crazy!! We descended a very, very steep rock face by crab walking down it. For me, it was challenging! It took everything I had in my upper body to get down to the bottom safely without falling and rolling all the way down the hill. Tim said it was a piece of cake. Ha! One good thing about descending so fast is that you get back to the car in record time. 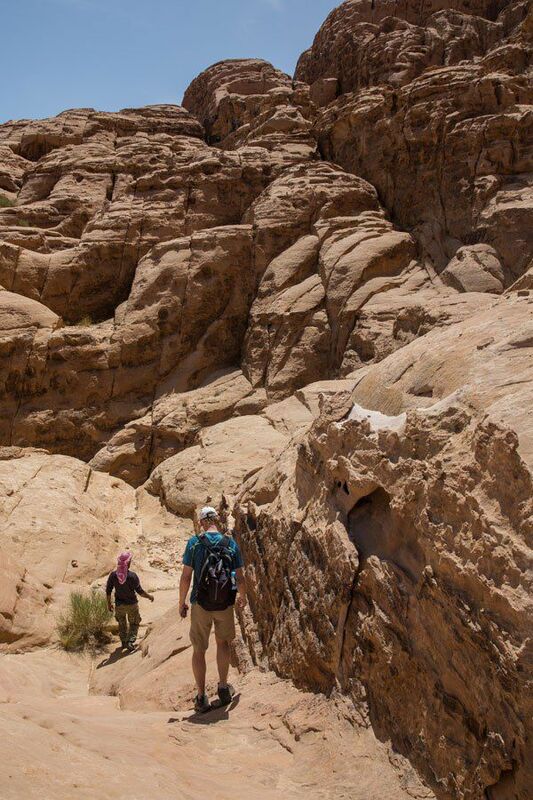 The entire hike took us less than two hours, including the time on top of the Jebel Burdah Rock Bridge. 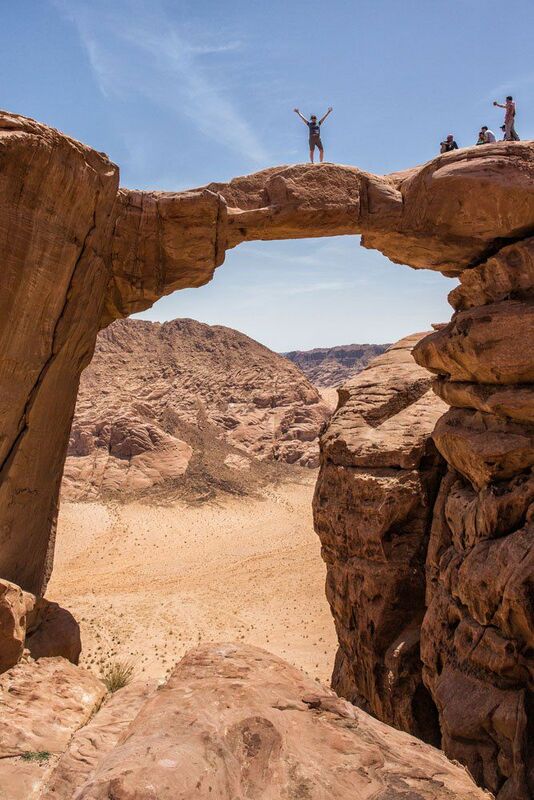 The best part of the hike was the view over Wadi Rum, but it was thrilling standing on the arch. The entire hike can take up to four to five hours, depending on your hiking speed. 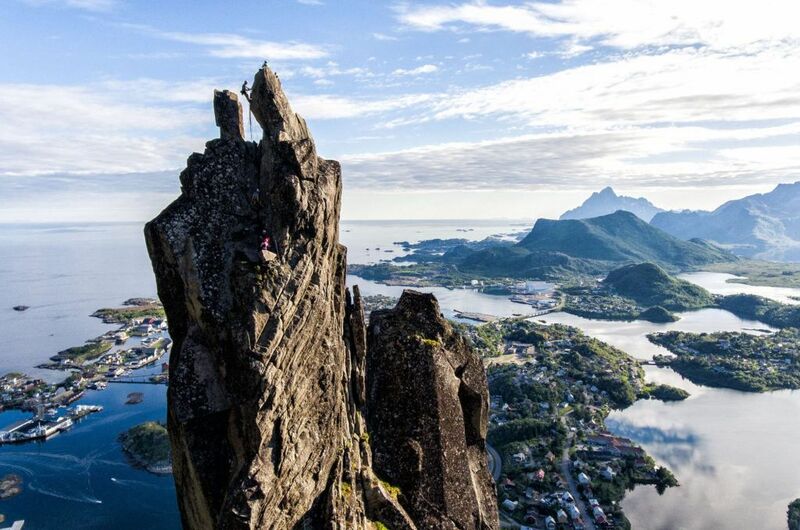 It requires lots of climbing, some rock scrambling, and even one short section of rock climbing. 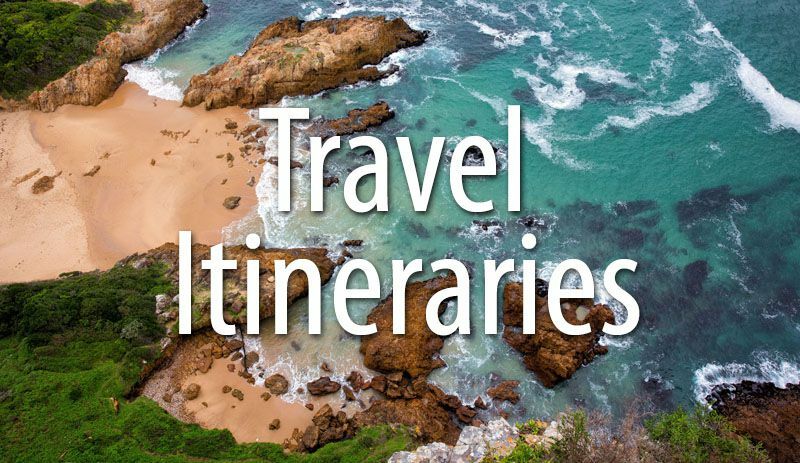 It is a strenuous hike with some technically difficult areas. 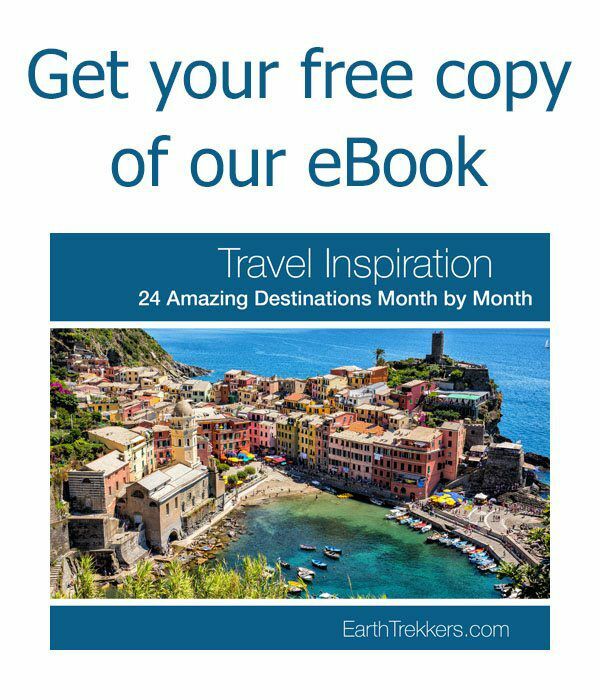 Only those with hiking experience should attempt this hike. 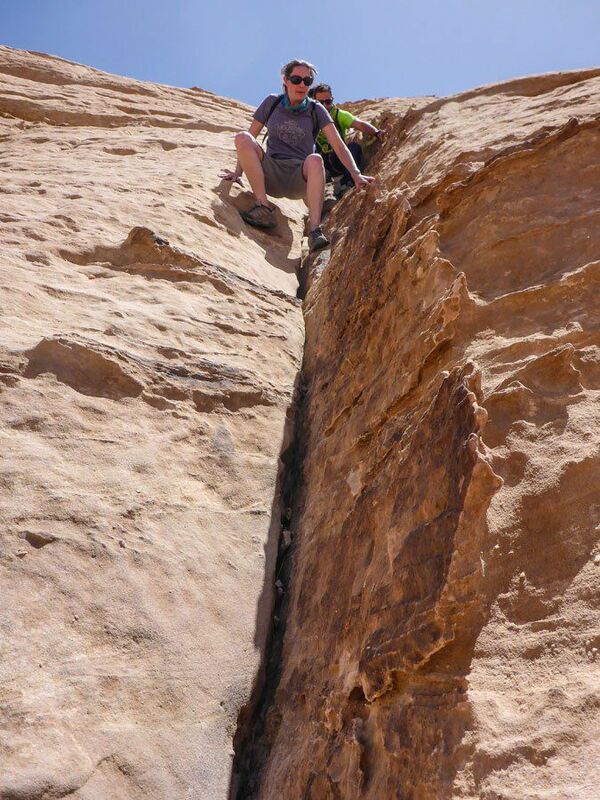 If you have a fear of heights or do not like the idea of walking along the edge of cliffs, skip this hike. The best times to go hiking in Wadi Rum are the spring and fall months. In the summer it is much too hot here to go on a strenuous hike like this. The winter months have very cold temperatures and snow is possible. We did the hike at the beginning of April and the temperature was 22ºC (72ºF). 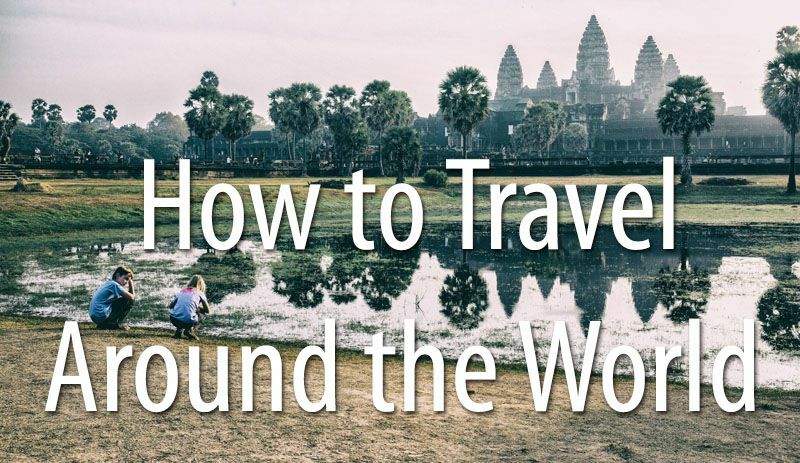 You need a guide to do this hike. 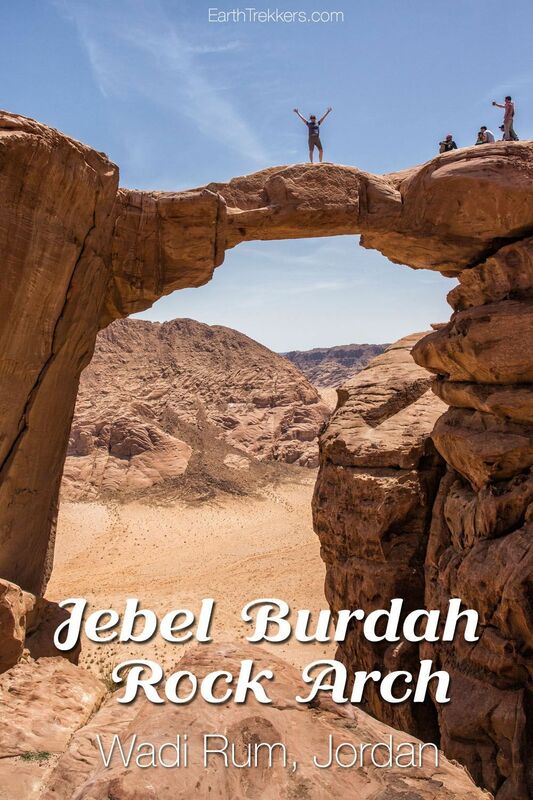 The trails are not marked and only those familiar with the area will be able to find the Jebel Burdah Rock Bridge. We hired Ali through Desert Eco Tours and had a great experience. 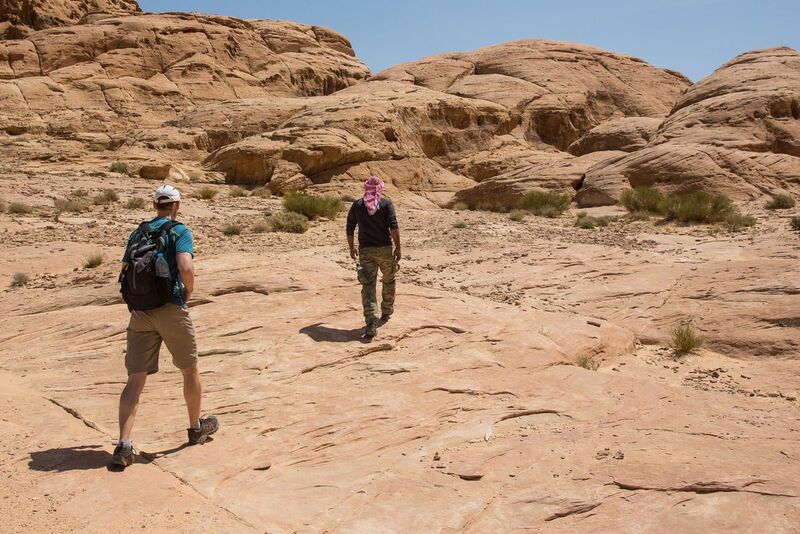 After the hike, our day continued with more exploring of Wadi Rum and a barbecue lunch prepared in the desert. 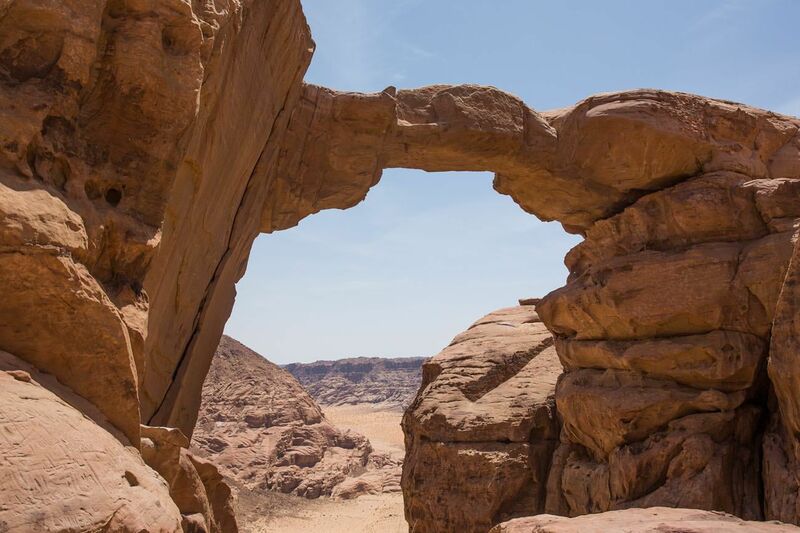 With Desert Eco Tours, you can spend as little as a few hours exploring Wadi Rum by 4×4, hiking to Jebel Burdah Rock Arch like we did, go canyoning in other areas of Jordan, or even take multi-day excursions in Wadi Rum. The day before our hike, we visited Petra on a private tour with Desert Eco Tours. 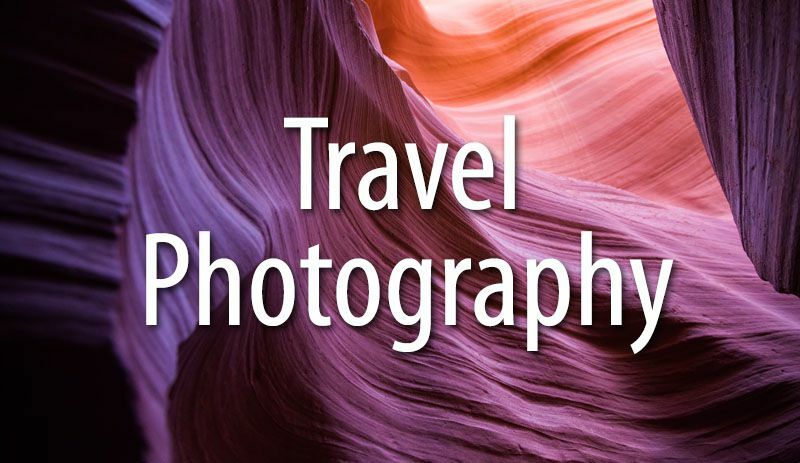 They made our visit to Jordan easy, seamless, and very, very memorable. Thank you for mentioning this hike. 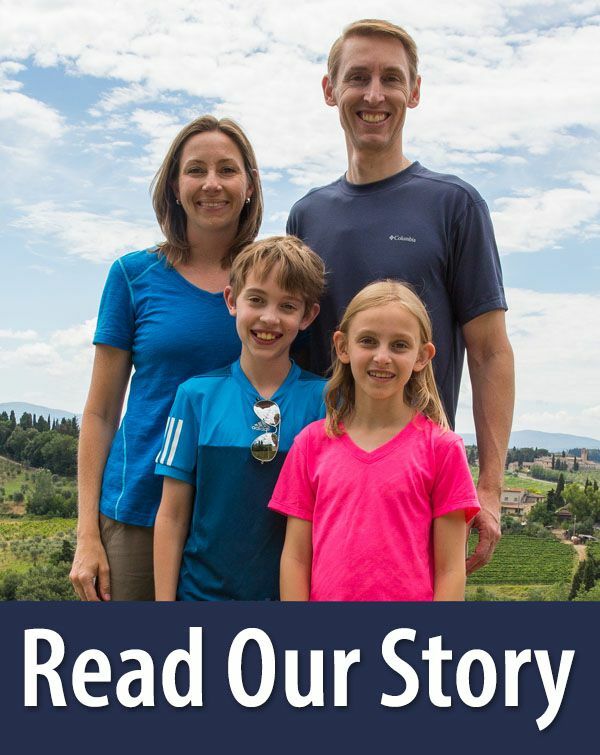 We are a family of five with three kids ages 9, 11 and 15. 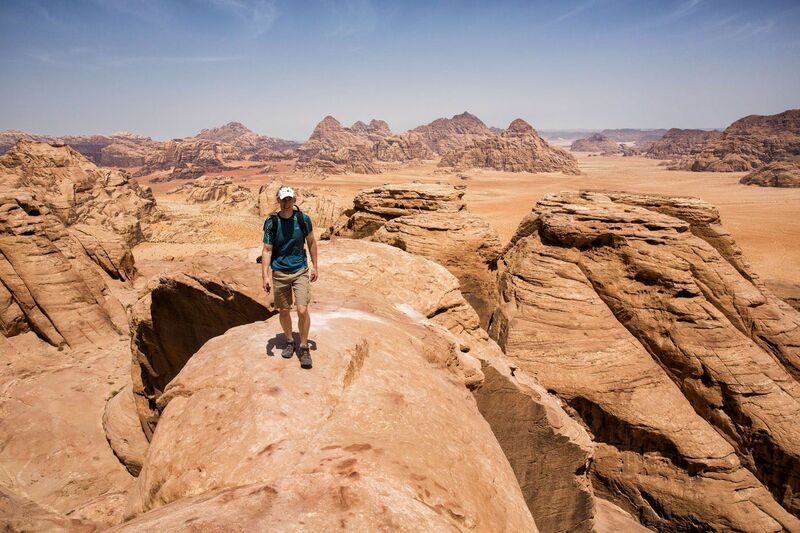 We just returned from a week in Jordan and included this hike on our trip to Wadi Rum. It was the highlight of our 24 hours there. I find the kids did fine and our guide was very attentive with the younger two. For the tricky sections we often had the guide at the front and my husband behind. We did use a rope for the final section up to the base of the bridge but that was mainly needed for added safety. It was unseasonably windy the day we went (lasted a mere 24 hrs) so only my husband and son went up to the bridge and did not completely cross it. We only saw two other hikers at the top. One fellow had crossed when the wind died down but had to wait over twenty minutes to cross back. Anyways we are an active family and love reading your posts to get ideas. We were in Ireland last summer and did the Skellig Michael day trip based on reading your blog. I would love to attach a picture but I don’t think I can. You two obviously have a far greater tolerance for exposed climbing than do I. I stopped at 30 minutes in, despite Ali’s assistance and encouragement, when I lost my nerve on a section of rock face that coukd have resulted in a catastrophic, life-threatening fall if one were to lose foot and hand holds and slip/slide, despite the sandstone offering good resistance. 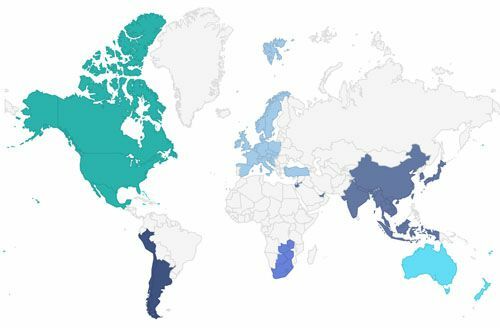 This is NOT a climb for the faint of heart. 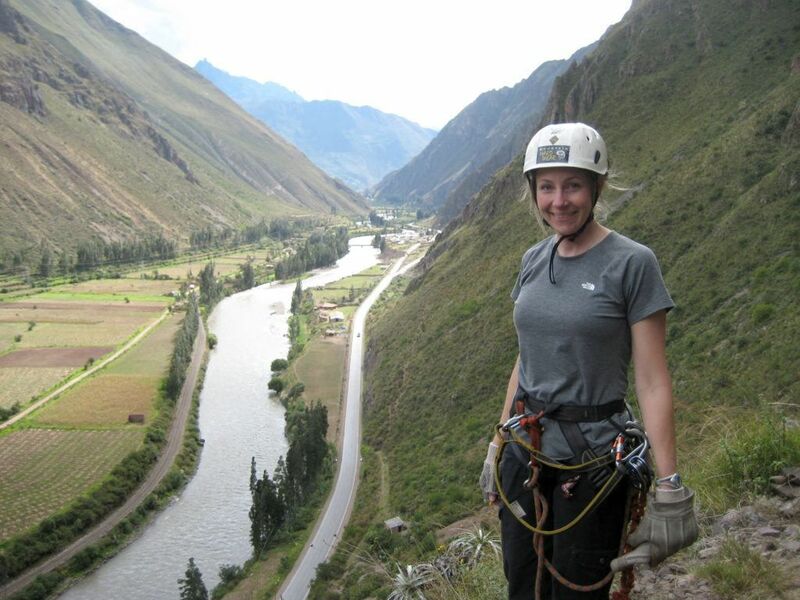 My wife continued on and reported that there were additional and scarier sections ahead – including some with negative incline and necessitating use of fixed ropes – which would have led me to freeze in place and lose composure. She made it to the bridge (and safely returned) but did not have the nerve to walk out on the arch. So this review should include a clearer warning that the climb would NOT be appropriate for those with fear of exposure – this is NOT a simple climb. 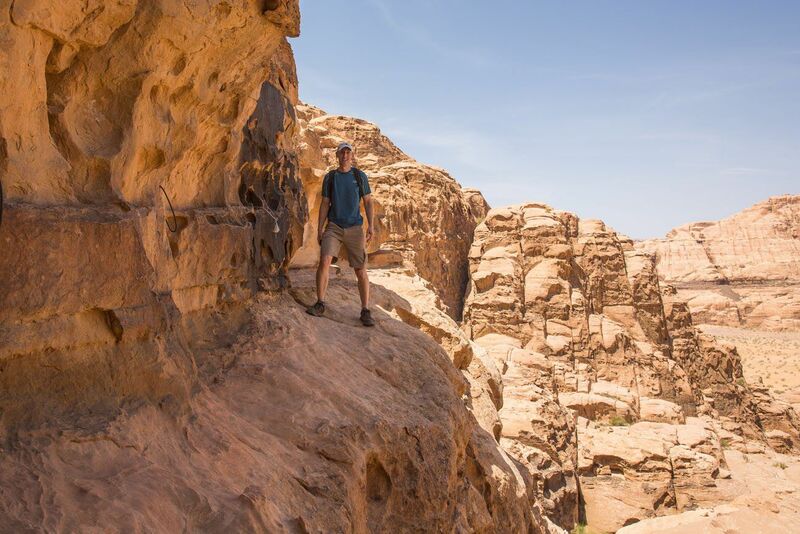 Wadi Rum was fantastic and I thoroughly enjoyed my visit! 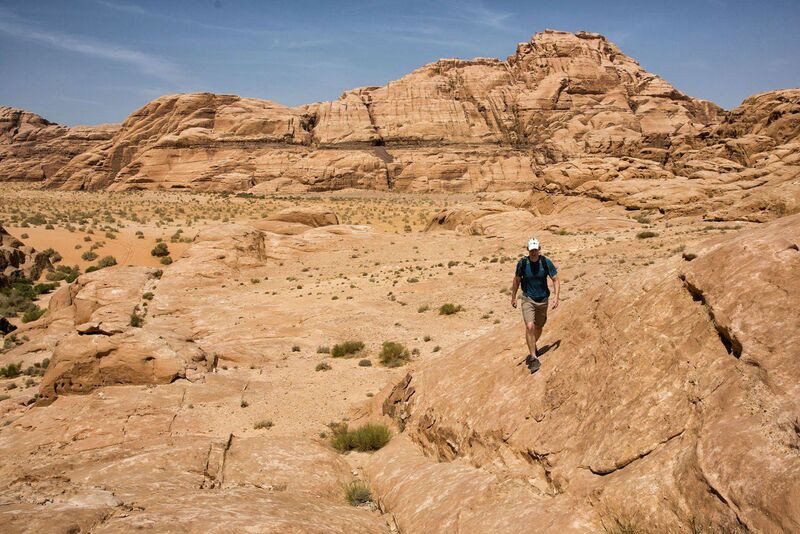 I wandered around the sandstone formations in the area I had halted my climb and enjoyed the amazing views until my wife and Ali met me on the way back down. I only wish we could have spent more time there. My question – did you let your kids on that bridge? I have an 11 year son in great physical shape, but I am terrified.